CHANHASSEN, Minn. (Oct. 31, 2013) — On the heels of a dramatic finish to the 2013 Series, Life Time – The Healthy Way of Life Company (NYSE: LTM) unveiled the 2014 Life Time Tri Series schedule, including the newly added iconic New York City Triathlon. Event registration, as well as the New York City Tri lottery, opens Nov. 1, 2013. Life Time Tri events attracted more than 25,000 athletes in 2013 including professional triathletes from around the world. Elite and professional triathletes compete in international-distance and relay team competitions on courses featuring a 1.5-kilometer swim, 40-kilometer bike, and 10-kilometer run. Select events also include a shorter sprint distance for amateur and beginner triathletes in addition to kid’s events in select markets. 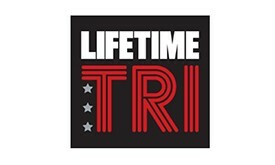 In August, Life Time announced the newest addition to the Life Time Tri Series, the New York City Triathlon. Entrance to the New York City Triathlon is lottery-based and will open on Nov. 1, 2013 at 12:01 a.m. The lottery will remain open for two weeks – closing on November 15, 2013 at 11:59 p.m. The registration link will be posted at NYCTri.com.